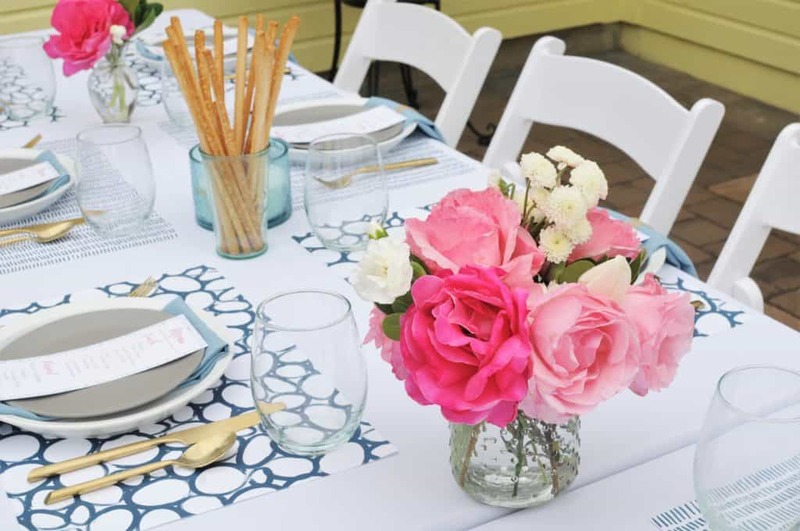 An outdoor summer luncheon is the perfect way to bring a group together for an intimate celebration. 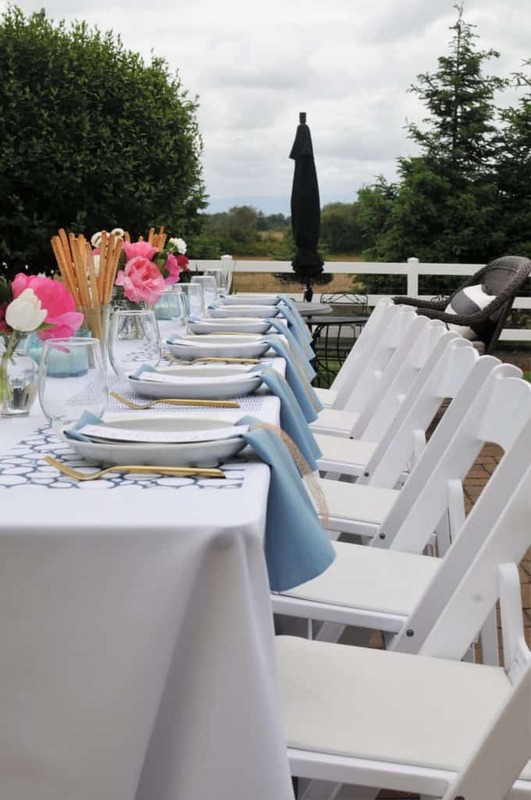 They can be held just about anywhere (on the lawn, patio or deck), are simple to plan, and make your guests feel spoiled. 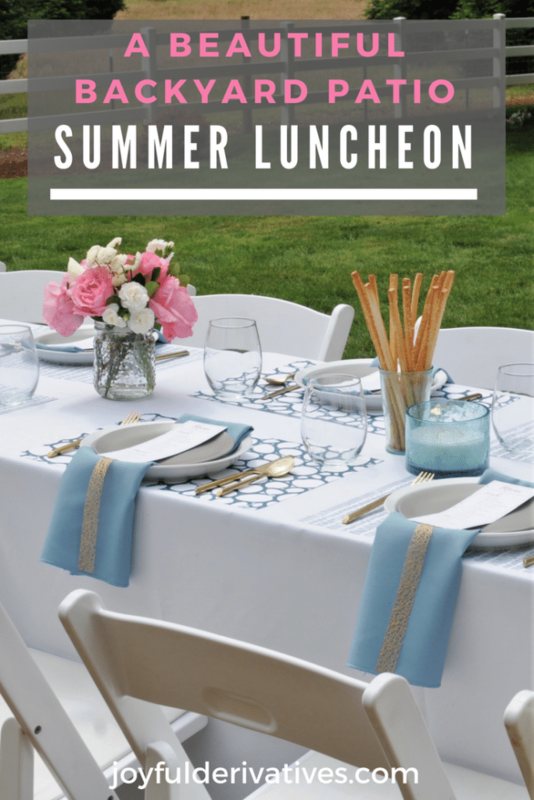 In hopes that it’ll inspire you to throw your own outdoor luncheon this summer, I’m sharing with you all the details from my recent summer luncheon, including my tips for setting the table and a party planning checklist! Enjoy, my friends! When my sister approached my step-mom and me about throwing her a baby shower for her second baby, we were all for it! 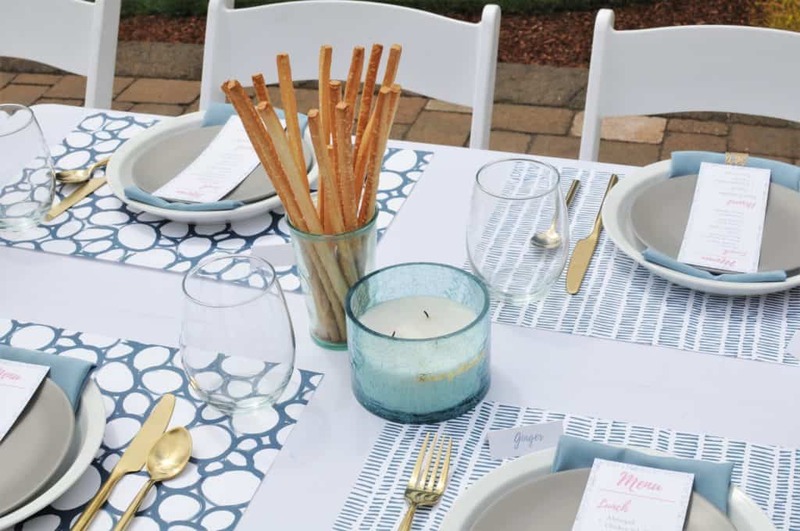 Since she’s having a second boy, and has most of the “essential” baby items she’s going to need, we decided to throw her a beautiful summer luncheon on the patio rather than doing a traditional baby shower. 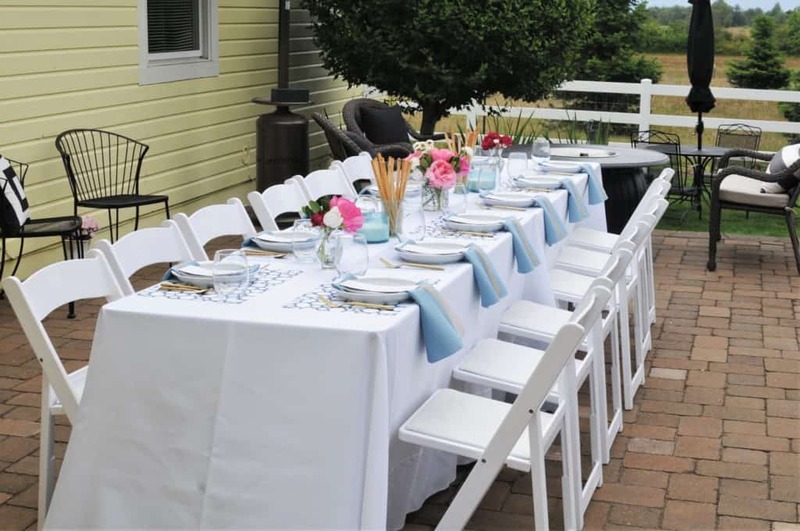 We invited around 30 people – 12 of which came – so it ended up being an intimate celebration with her closest friends and family. It was such a fun way to celebrate her and the baby! 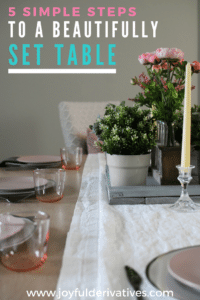 We rented the linens, chairs and silverware, as they’re all things we don’t readily have on hand and we really wanted this luncheon to feel a bit formal. 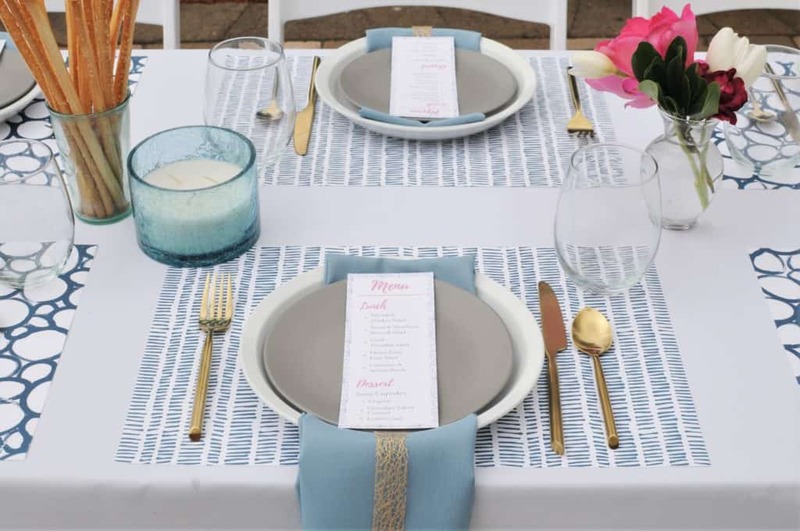 I had been dreaming of setting a table with gold silverware and love the extra wow-factor it gave the place settings! And the addition of the gold ribbon atop the blue napkins was the perfect touch to make it all fit together. The pink roses were actually cut straight from my backyard! Isn’t the iridescence of the darker ones just stunning? 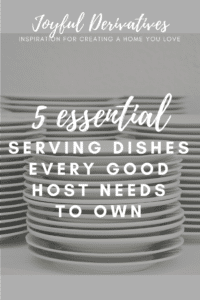 For the food, we chose to do an assortment of salads and breads – all of which were fabulous! 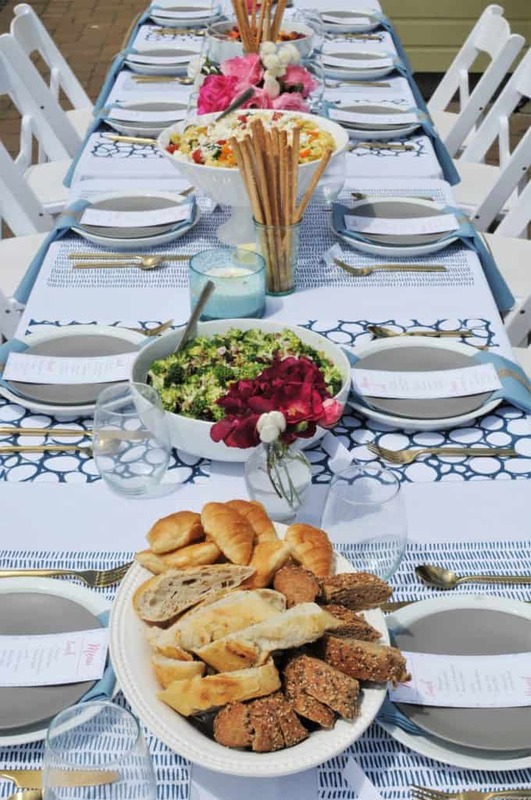 Want to throw your own summer luncheon? 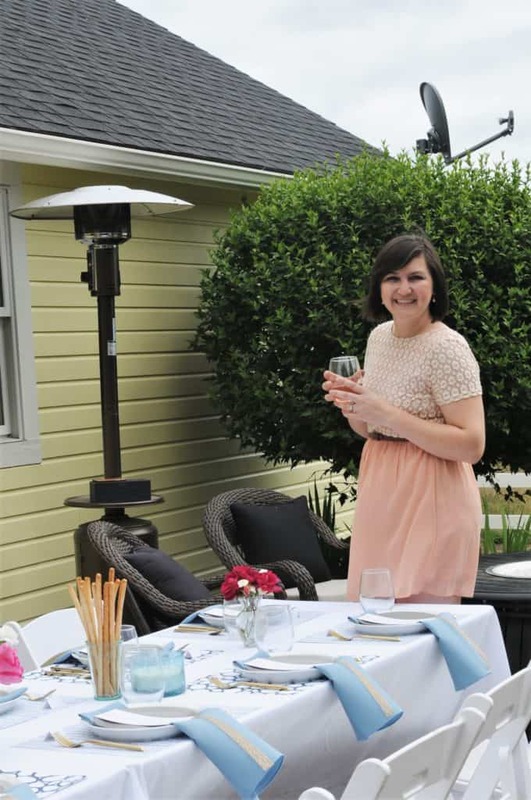 I hope you enjoyed the tour of our backyard patio summer luncheon! It was a really fun event. « Fabulous Farmhouse Floor Lamps for Under $100!